Direction to Jump CenterLake Villa | BellasBounciesIndoors.com Lake Villa IL. Jump Center Lake Villa - Lake Villa Illinois Family Fun Center! 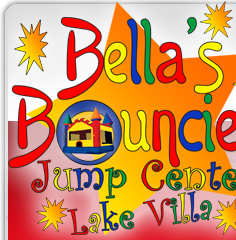 Bella's Bouncies Indoors is conveniently located in the Lake Villa Business Park between Grass Lake Rd and Petite Lake Road at 1600 North Milwaukee Ave (Route 83) in Lake Villa, IL. Click HERE for a Google Map and to get turn by turn directions from your location. In Lake Villa, Route 83 is also referred to as Milwaukee Ave. This is NOT Route 21. So if you are coming from anywhere besides Lake Villa, you will take Route 83. We are approximately 2.2 miles North of Grand Ave, 0.5 miles North of Petite Lake Rd or 0.2 miles south of Grass Lake Rd.